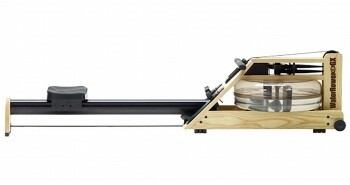 If you are in doubt about whether rowing will be an effective exercise, worry no more. It is a workout that has proven to be effective time and again. It’s no wonder that is has gained popularity and exposure in recent times as fitness enthusiasts (re)discover this awesome workout machine. Not only is it great for cardio, it is also great for building and toning your muscles, and to make it even better, it is easy on your joints so almost anyone can do it. Let’s talk about the impact that rowing will have on your muscles and what makes it suitable for just about anyone who wants to exercise. Before I started rowing I was like many people who believe rowing works only your arms and legs but, as you will see, this is not true. Rowing engages and works all 9 major muscle groups in the body: back, biceps, quads, shoulders, triceps, lats, core and glutes. Both your upper and lower body will get a good workout. 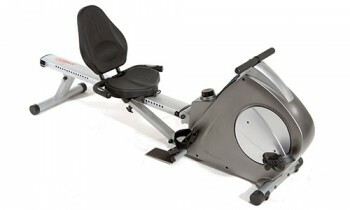 I’d say very few workout machines can give you the type of full-body workout that you will get from rowing. Some people think you don’t work your core very much when you row, but if you keep good form your core should always be engaged. However it is true that the ab muscles don’t work as hard as the other muscles engaged in rowing. The muscles in your shoulders, arms and legs do most of the work. As you row, the muscles in your shoulders and your back are actively involved and so they will get an excellent workout. Your leg muscles and glutes will also get a very thorough workout. All you have to do is look at the body of professional rowers to know that rowing can build muscle. Rowers typically have the coveted ‘V’ shape body that athletes strive for. As all your major muscle groups are engaged when you row, they become developed with regular rowing workouts. Don’t get me wrong, you won’t get those types of results by rowing every now and then. Rowing is not as effective at muscle building as exercises like the ones you would do with dumbbells and barbells; it would take a regular rowing routine, several times a week for a prolonged period of time for you to get similar results. You would almost have to train as if you were getting ready for the Olympics to get the body of a professional rower. Olympic rowers train 7 days a week and row about a total of 250 kilometers at high intensity. 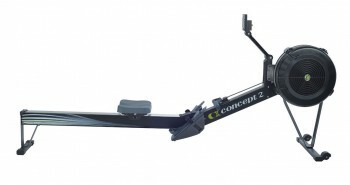 Having said that, a moderate rowing routine is sure to get you in good shape and give your muscles noticeable tone. If you are just starting to take up rowing, you will want to start off at a slow pace so that your body can get used to the workouts. Ideally you should start with about 2 kilometers and work your way up slowly. During this time I would suggest that you also work on perfecting your form, as having the proper form when you are working out will keep you from being injured. For more information about proper rowing form see my article here. The fact that rowing is a low-impact exercise means that it is suitable for people who have mobility issues, those recovering from injuries, or the elderly. Perfectly healthy people also benefit from rowing, and professional athletes can row at the higher levels of resistance for a challenging workout. Rowing is an exercise that most people will be able to do. I have a knee injury and I am not able to do weight bearing workouts like using the treadmill, so rowing is perfect for me. 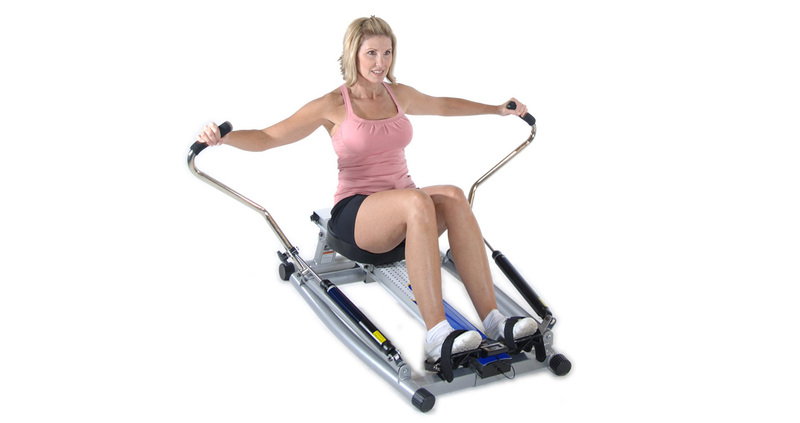 Not only is rowing easy on the joints while you are working out, but because rowing machines are so close to the ground there is little risk of falling off and getting hurt as well. 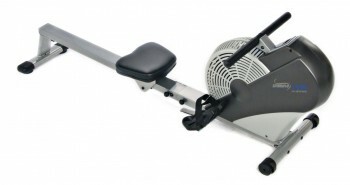 Rowing is an excellent way to work out out your upper and lower body. You will be able to build and tone your muscles even if rowing is the only type of exercise that you do. If you are serious about using rowing to build your muscles, I would advise making a workout plan and stick to it for best results. For help with making your own personal rowing workout plan please see my article here. As rowing does not put much stress on your joints, almost anyone will be able to use it to achieve their fitness goals. If you want to build your muscles there are more effective methods. 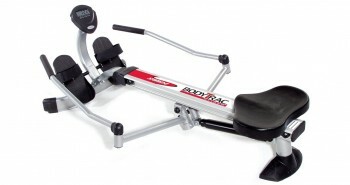 but many of them cannot be used by the wide range of people who can use a rower. Rowing will certainly be able to help you build muscle and get in good shape.